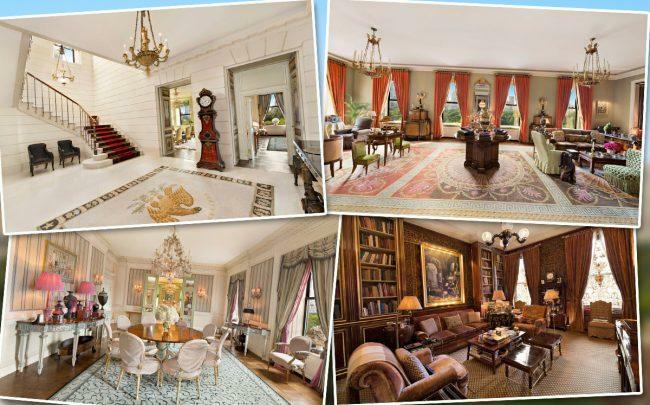 This apartment’s original listing price of $120 million was called “offensive” by one broker. Now the luxe co-op belonging to Susan Gutfreund, the widow of the late “King of Wall Street” John Gutfreund, is back on the market for half that price. Serena Boardman at Sotheby’s International relisted the 22-room apartment at 834 Fifth Avenue with an asking price of $59 million, according to StreetEasy. That’s a price drop of more than 13 percent off the $68 million the home was asking when Boardman took over the listing in September from Larry Kaiser of Berkshire Hathaway HomeServices New York Properties. The current listing price is a haircut of $61 million off the original ask, which rivals the record held by hedgefunder Stevie Cohen, who reduced his condo at One Beacon Place by a total of $70 million. Gutfreund’s late husband was the CEO of investment bank Salomon Brothers and featured as a villain in the book “Liar’s Poker.” He died in 2016. That year, Susan Gutfreund listed the apartment at 834 5th Avenue for $120 million, a price described by one broker as “absurd.” At the time, it was the priciest listing in the city. Five months later she dropped the price to $96 million. The 22-room apartment, which overlooks Central Park, has seven bedrooms, seven bathrooms and three powder rooms. It is decorated in eighteenth century style, with parquet de Versailles flooring and hand carved moldings. It was originally designed by Rosario Candela in the 1930s. Gutfreund has cycled through various brokers in her attempts to sell the apartment. Brown Harris Stevens’s John Burger and Richard Ziegelasch initially had the listing.